Stephen M. Saideman is the Paterson Chair in International Affairs at Carleton University. His research interests focus on the causes and consequences of intervention into intra-state conflicts. His current work focuses on Canadian and NATO’s efforts in Afghanistan and also on the mobilization of diaspora groups. Dr Saideman teaches courses on Civil-Military Relations and American Foreign and Defence Policy. 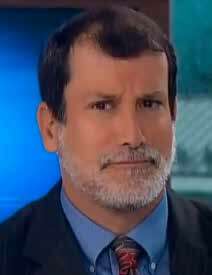 He received from PhD in Political Science from the University of California, San Diego in 1993. Since then, dr Saideman has taught at the University of Vermont, Texas Tech University, and McGill University. He spent 2001-2002 on a Council on Foreign Relations Fellowship that put him on the US Joint Staff’s Strategic Planning and Policy Directorate. 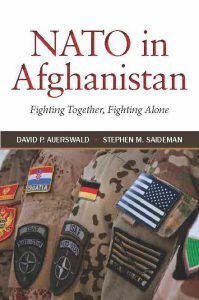 The interview below is about the book “NATO in Afghanistan: Fighting Together, Fighting Alone” that he wrote together with David Auerswald. The book seeks to understand how countries fight wars as part of alliances. We use the cases of Afghanistan and Libya to understand how domestic political structures shape how countries manage their troops on distant battlefields. Why did countries behave differently? Some fought with few restrictions, some had many constraints, known as caveats, that limited what they could and could not do. We interviewed over 250 military officers, politicians, officials, journalists, and experts to understand how countries behaved on the ground in Afghanistan and in the air over Libya. We found that coalition governments are more likely to have restrictions placed on their deployments due to the bargaining that goes on within a coalition. In countries where individual leaders—Presidents, Prime Ministers, Chiefs of Defence—have discretion about how to manage their troops in the field, their prior experiences and tolerance of risk determines how they manage the mission. It provides a clearer understanding of how NATO operates. It emphasises the role of domestic institutions in shaping the conduct of civilian control of the military. It provides key comparisons among the world’s advanced democracies. It helps to explain why things did not go so well in Afghanistan. Much of the work on these matters focuses on oversight—our book covers that but also focuses much attention on three other ways in which civilians manage their militaries—selection of leading officers, varied delegation of discretion, and via rewards/sanctions. During my year in the Pentagon, I worked on the Bosnia desk of the US Joint Staff. Which meant I was working on NATO issues almost all the time. I developed a variety of questions, such as what happens when someone wears two hats—has two jobs—with two distinct chains of command? In terms of how this fits with my academic career, I have always been interested in intervention and I have always been interested in comparing how domestic politics and institutions shape how countries respond to similar pressures in different ways. The on-going conflicts in Syria and Iraq have some of the same dynamics that we discuss in the book. It would be interesting to see how the alliance stuff we consider plays out in a less institutionalized, non-NATO environment. Also, our book focuses almost exclusively on what the militaries in Afghanistan were doing and not on the civilian side of the effort—the whole of government/comprehensive approach. Much of our approach should also be applicable to these efforts. I cannot speak for other people. I spent a year inside the Pentagon and was puzzled by how NATO operates, so my question arose from this experience and thus shaped my focus. Hello sir . The themes of your book are really interesting and useful but i want to mention here what about the emotions and sentiments of local public in the presence of foreign troops in Afghanistan. They are most important subjects of international law but often ignored why it is so ? ?